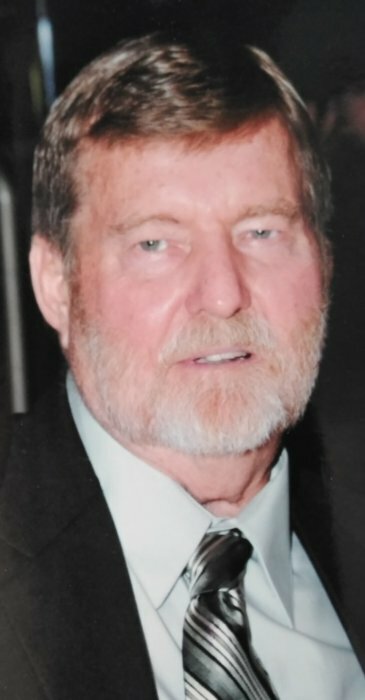 Obituary for Jerry R. Bean | McCombs Funeral Home Inc.
Jerry R. Bean, 79, of Benton, Missouri, formerly of Poplar Bluff, Missouri, passed away Tuesday, October 23, 2018, at Southeast Hospital in Cape Girardeau. His death was a result of an aneurysm and multiple surgeries over the past twelve days. Jerry was born October 10, 1939, in St. Louis, Missouri, to Thomas B. and Maudie M. Gambill Bean. While living in Poplar Bluff, he met Connie Wessling Koerner. They were married married June 2, 2001, in Poplar Bluff. For many years, they enjoyed line-dancing with friends in Poplar Bluff. Jerry was raised in the Fullerton, California area, where he graduated from high school and earned an associate degree in horticulture. He worked many years as a truck driver, but his true passion was in horticulture. He previously owned a plant store in California, greenhouses in Troy, Missouri, a peach orchard in Palisade, Colorado, and most recently raised cattle in Benton. Loving survivors include his wife of 17 years, Connie Bean of Benton; two sons, Craig (Lori) Roberts of Shafter, California and Jeff (Karen) Roberts of Chubbuck, Idaho; three stepsons, Brian Koerner of Jackson, David Koerner of Fort Leonard Wood, Missouri, Rev. Steven (the late Cindy) Koerner of Oak Ridge, Missouri; 18 grandchildren; five great-grandchildren; and several close cousins. He was preceded in death by his parents; a brother, Thomas Bean; and a daughter-in-law, Cindy Koerner. A memorial visitation will be held from 2 p.m. to service time, Saturday, October 27, 2018, at LaCroix Benton, 162 E. Missouri St., Benton, Mo. 63736. The Rev. Collin Smith will conduct a memorial service at 3 p.m., Saturday, at the church. In lieu of flowers, the family appreciates memorial contributions to the Down Syndrome Association of Greater St. Louis, 8531 Page Avenue, Suite 120, St. Louis, MO 63114.